Kasra Makvandi made the switch from Iran to Denmark in search of an MBA program that revolved around his passion for the environment and sustainability. Once his choices had been whittled down, there was one clear winner. Currently a full-time MBA student at Copenhagen Business School—ranked fourth in the world in the Corporate Knights’ Better World MBA Ranking 2016 and 2017, a ranking system that recognizes schools for their dedication to sustainability—he is tapping into the growing business culture of Corporate Social Responsibility (CSR) and Sustainable Management that is emanating from Denmark and Scandinavia. Indeed, Danish energy company Ørsted—formerly Danish Oil and Natural Gas—shifted permanently to renewable energy in the latter half of 2017, completely divesting its oil and gas arm. During the MBA program at Copenhagen Business School—ranked among the top 35 schools in Europe by the Financial Times in 2017—company heads from other sustainably driven firms give presentations to the students on the way their firms are being run, and offer the chance for students to network with the industry’s big guns—one such figure was the CEO of biotech company Chr. Hansen. The students themselves are moulded into likeminded leaders, studying topics like the relationship between responsibility, profitability, and strategy, and how to develop ethical management, during a 50-hour intensive course on responsible management and sustainability. “You can’t find too many MBAs like this,” says Kasra. “We see the big guys and how they are seeing the market. “When you talk to them [they have] a totally different point of view—I couldn’t believe how they were seeing business, they are truly CSR oriented,” he continues. For Kasra, the most “fascinating” thing is the way these organizations put CSR at the heart of their core strategy. Having worked for almost ten years in Iran, he admits to never seeing companies run in this way. He was drawn in by the way Scandinavian countries are trying to embed a culture of change and ethical management into the business world—he now plans on using his education to launch a consulting career in Northern Europe when he graduates, focussing on CSR and sustainable management. At the end of the Copenhagen MBA, he’ll have a chance to put his consulting skills to the test, completing the Integrated Strategy Project, working with a local company on a strategic business challenge. The international aspect of the Copenhagen MBA—44 people made up of 22 nationalities, says Kasra—means that during project work you gather an understanding of how business is conducted all around the globe, working with people from a plethora of countries and industries. 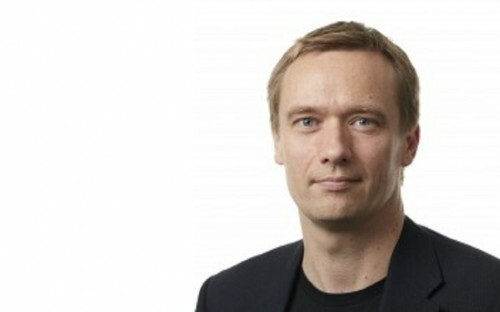 Steen Vallentin—associate professor of CSR and director of the Center for Corporate Social Responsibility at Copenhagen Business School—says that the international students who make up the full-time MBA cohort see vast differences in the business mindset in Scandinavia, compared to their home countries. Immersing international students in the Scandinavian train of thought though, is the first seed that needs to be planted if a global mindset focused on CSR and sustainable management is to bloom. It’s vital for Steen that a strong sense of CSR and sustainable management traverses other MBA programs too, not just addressing climate change but also responsible management. “Mindsets take a long time to change” he concludes, “[but] there is an institutional build up [in Scandinavia] that makes companies in this part of the world adopt a responsible approach.